Scott is a Registered Assistant of FSC Securities Corporation and is part of Resource Consulting Group's long-term succession plan. 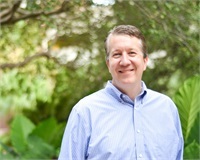 Scott joined RCG in 1991 after graduating from the University of Texas and has also maintained his Certified Financial Planner (CFP) designation since 1994. His love of the details, organization and creativity provides clients with personalized service to assist them with realizing their financial objectives. Scott works hard to “listen carefully” and speak the “client's language” when it comes to financial issues and understanding a client's needs. He is also securities registered (Series 7) through his affiliation with FSC Securities Corporation (a registered broker/dealer, member FINRA/SIPC). Scott enjoys spending time with his family playing sports, sailing on Lake Travis and cooking anything together (ask about their salsa).